Acreage extraordinaire! This beautiful home offers 4400 sf of living space built in 1995 which truly must be seen to be appreciated! 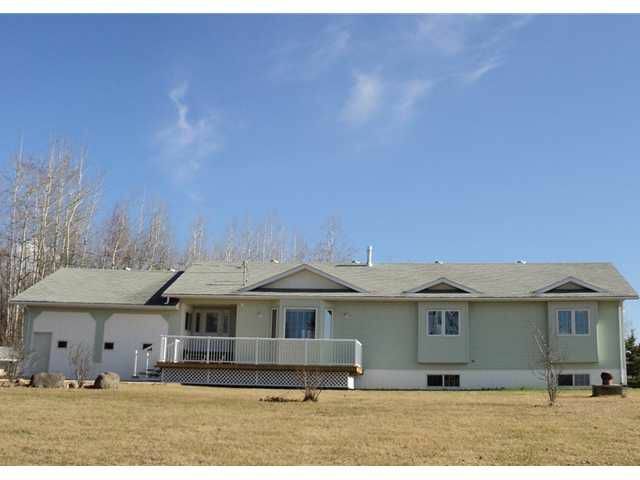 Features include 5 or 6 bedrooms, 3 1/2 baths, over height basement with in floor heat and 2 rec areas, living room, island in open kitchen, shared gas fireplace between living and dining, garden doors to rear deck, all located on 3.58 acres very close to town with a view of the Rockies and town water. Make the call!